Spend Your Summer Chasing Balloons: Top 10 Across America! Everyone loves to watch hot air balloons glide across the sky and this summer there are plenty of opportunities to look to the skies in some of your favorite cities host the colorful spectacles. 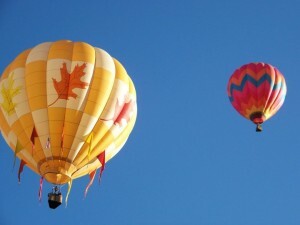 Here are BBonline's pick of the top 10 Hot Air Balloon festivals across America! Have you ever ridden in a hot air balloon? Share your stories with us at Facebook! 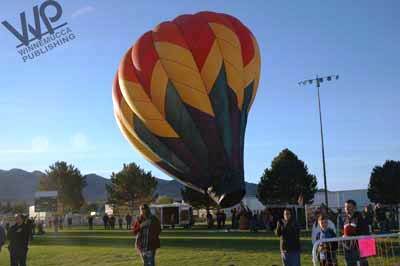 A day trip away from your favorite Reno, Nevada bed and breakfast is the Winnemucca Balloons Hot Air Balloon Festival held in Winnemucca, Nevada on April 27th and the 28th.The festival begins at 7am and hot air balloon rides are only $5 per person! Lower Lake, California bed and breakfast guests on May 4th and 5th will have an opportunity to see balloon filled skies at The Great Lake County Balloon Adventure! 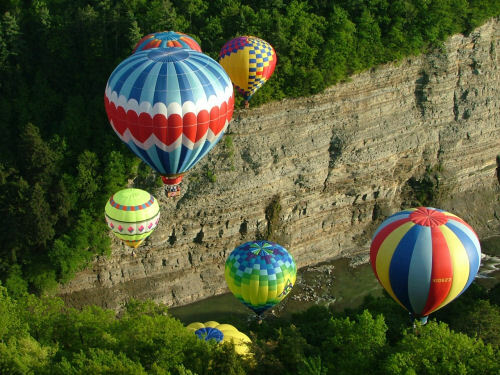 A short distance from your Buffalo New York bed and breakfast is the 12th Annual Red, White and Blue Balloon Rally in the town of Castile. The balloon rally will be held on May 24th through the 27th and will include great food, music, rides and of course...hot air balloons! 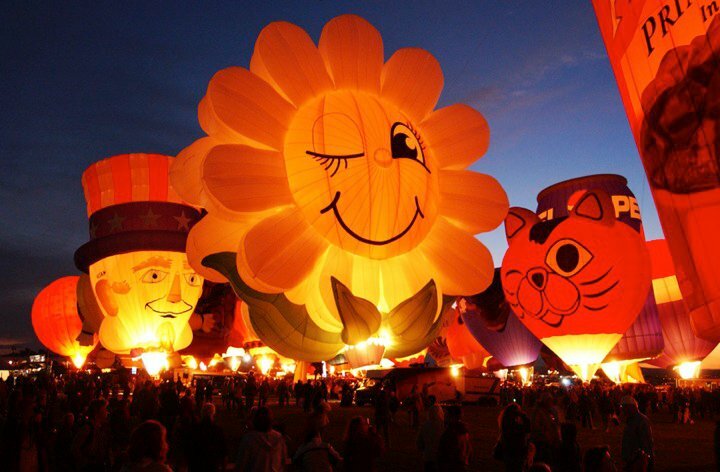 Your Kissimmee Florida bed and breakfast is just a short distance away from the Kissimmee International Festival of Festivals Hot Air Balloon Festival to be held from May 31st to June 1st! The festival will start at Formosa Gardens at 7am. If you are planning a visit to your favorite Provo Utah bed and breakfast on June 7th and 8th, you should plan to visit the Springville Balloon Fest in Springville. The festival gets underway at 6:30am, admission is FREE and there will be colorful balls tossed from the balloons that can be exchanged for prizes, balloon rides, great food and more! Visiting your Coatesville Pennsylvania bed and breakfast on June 14th and 15th will get you closer to the Chester County Balloon Festival! Balloons will take to the sky at 7am. Admission is $10 per car. 1600 W. Doe Run Rd. 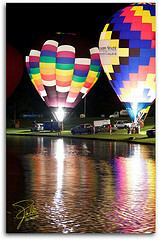 The Jackson Hot Air Jubilee begins on Friday, July 19 at 4 pm in Ella Sharp Park and runs through the weekend. Plan to stay at your favorite Jackson, Mississippi bed and breakfast and be part of the weekend long Jackson Hot Air Jubilee! You will not want to miss the Up, Up & Away Balloon Festival in Tupelo, Mississippi on September 13th and 14th! The festival takes place at Ballard Park and will include balloon rides, games, live music, rock wall climbing and more! Gates open at 5pm! If you are planning to spend the week of October 5th through the 13th at an Albuquerque, New Mexico bed and breakfast, you should plan to stop by the Albuquerque International Balloon Fiesta!Even though it is in the fall season, a balloon festival list of the best festivals in the U.S. would not be complete without adding Albuquerque. During the week of October, the desert sky is filled with brightly colored balloons. The event gets started at 5:45am at the Route 66 Casino. There will be morning and evening patrols, music, a car show, chainsaw carvings, great food and more!